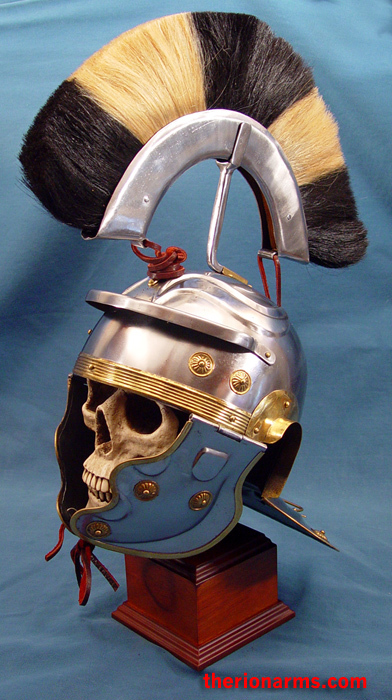 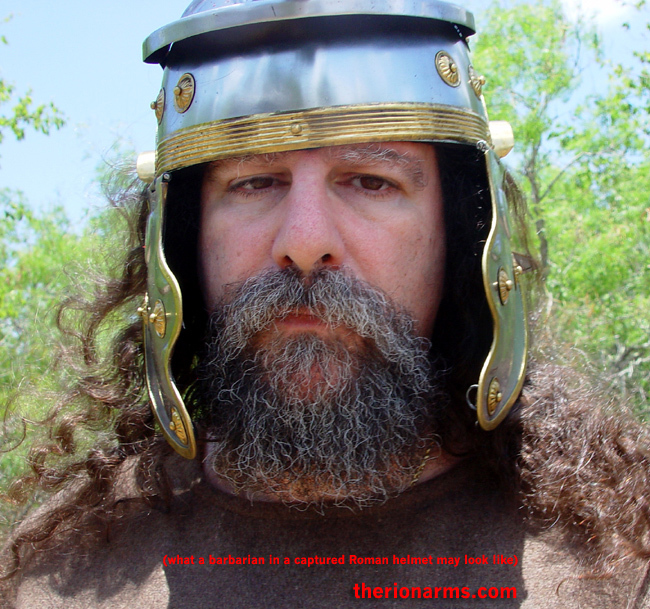 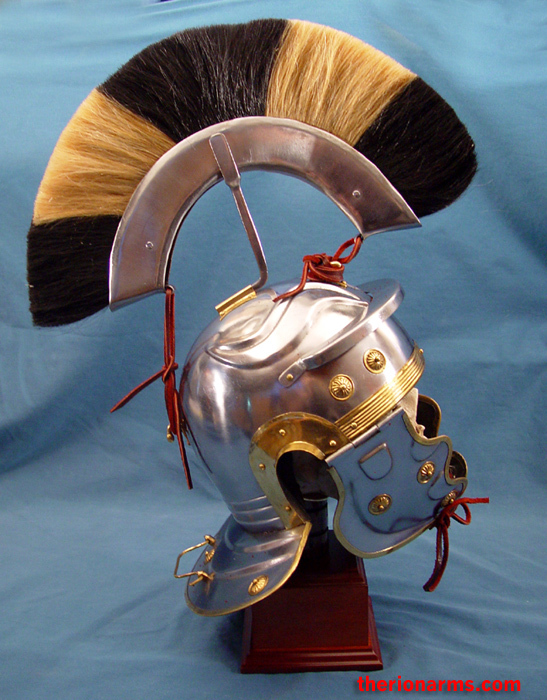 Roman Gallic Type G - this the typical mid-1st century Roman helmet. 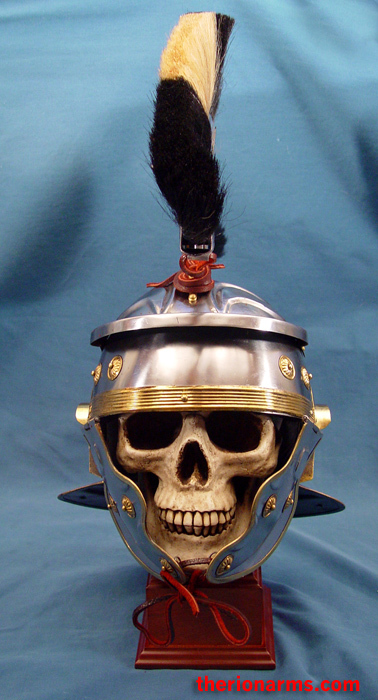 The best kept example was found at in the Rhine River near Mainz-Weisenau, and is now exhibited in Worms. 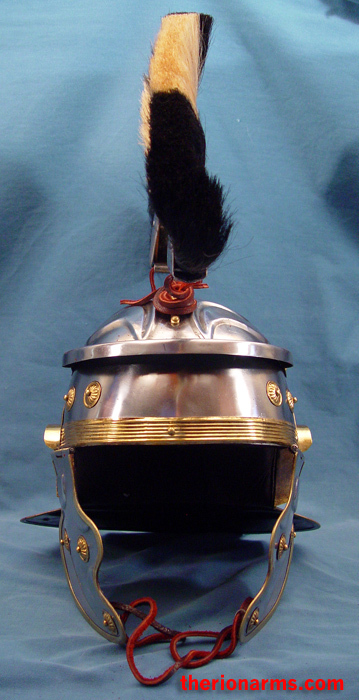 18ga steel with brass trim, padded liner, and detachable black and white horsehair crest. 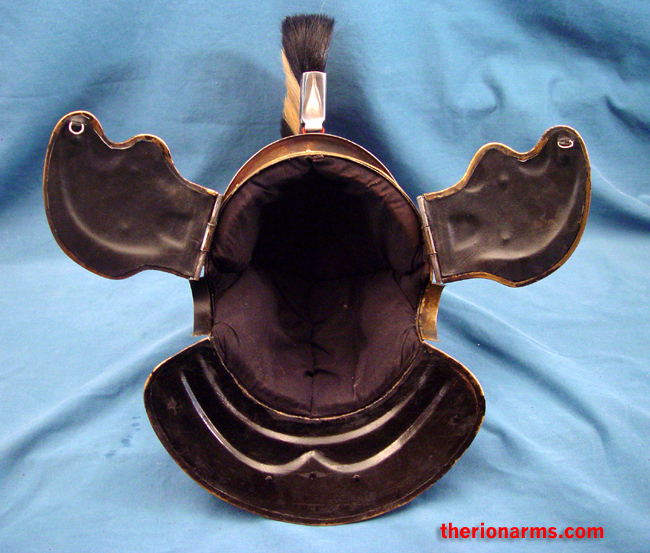 23 1/2" inner circumference. 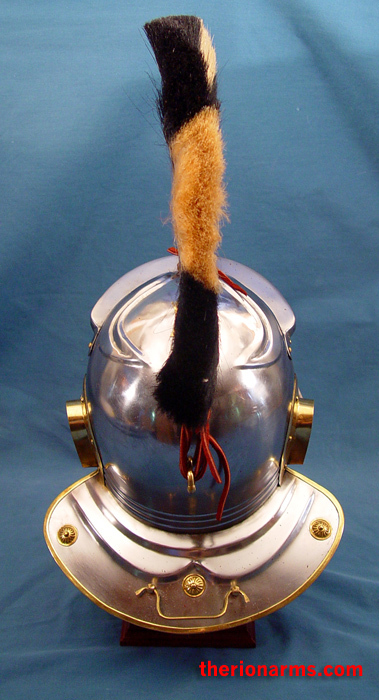 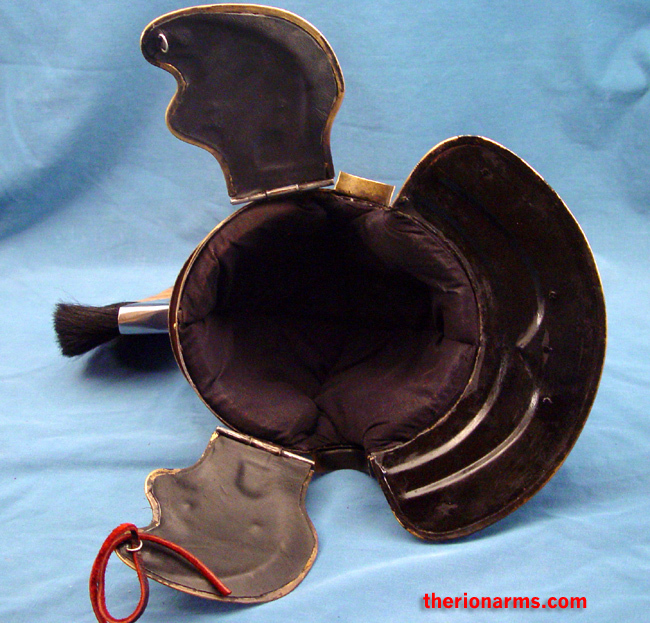 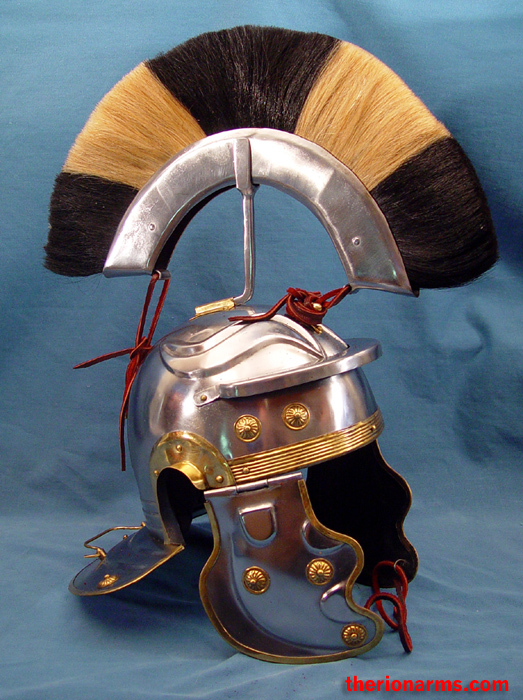 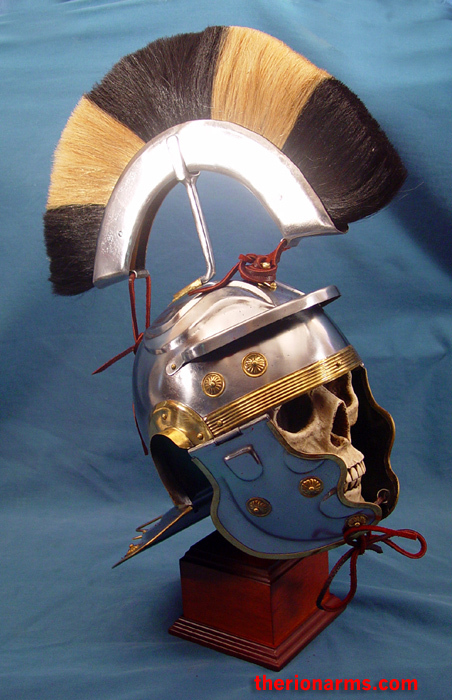 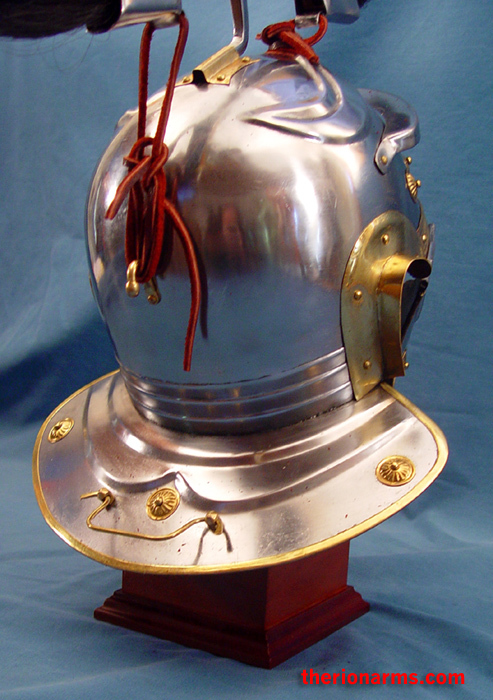 Also available is a Roman Helmet Gallic Type G - red crest.